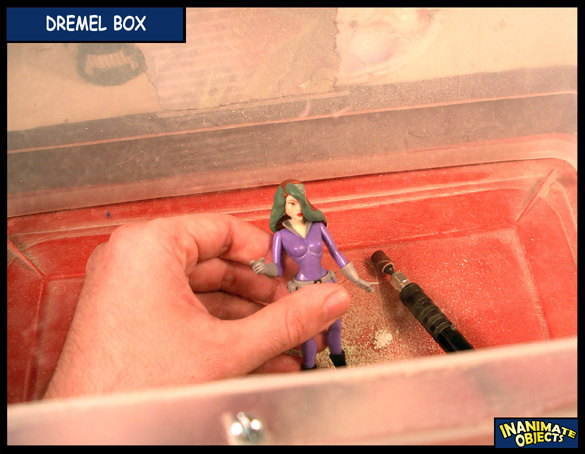 Inanimate Objects » What is a Dremel box? 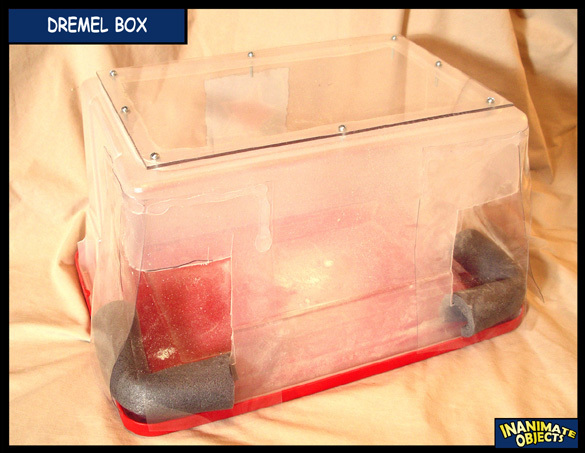 What is a Dremel box? 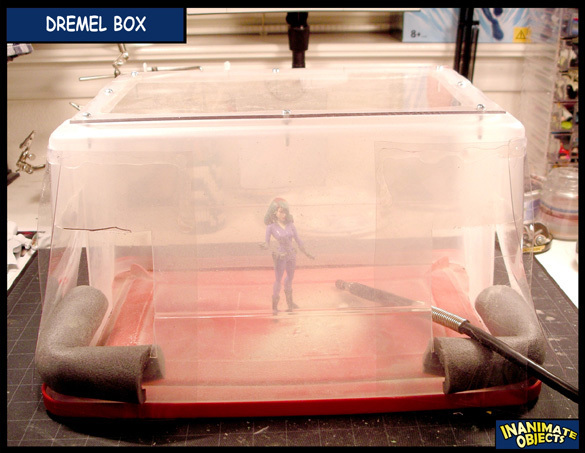 A Dremel box is an ingenious apparatus that allows you to drill and sand without making a huge mess in the room you’re in. Depending on the material being altered, drilling and sanding can produce a lot of debris and dust. A Dremel box keeps most of that contained. I first saw one used by Bruenor, who himself saw one somewhere else. It’s essentially a transparent or semi-transparent plastic box that’s been turned upside-down. The “top” is cut out and replaced with a piece of Plexiglas for purposes of visbility. On my box, the glass is screwed to the box, with a layer of transparent caulk in-between for a sure seal. Two corners of the box are then cut out and act as arm holes. You can see mine uses pipe insulation to soften the edges, and clear vinyl acts as a debris-drape. I’m able to reach inside with whatever tools and parts I need and Dremel away without fear of dust getting everywhere in my house.